Whether it’s a smartphone or tablet, modern-day gadgetry is nothing like what it was just a few years back. Heck, it’s nothing like it was a year ago. Today’s world is chock full of increasingly small gadgets and an increasing number of complex apps and programs. Not to beat our own chest, but there are only a few brands out there like Boombotix, whose line of portable mini speakers pack a punch, but are still simple and easy to use. 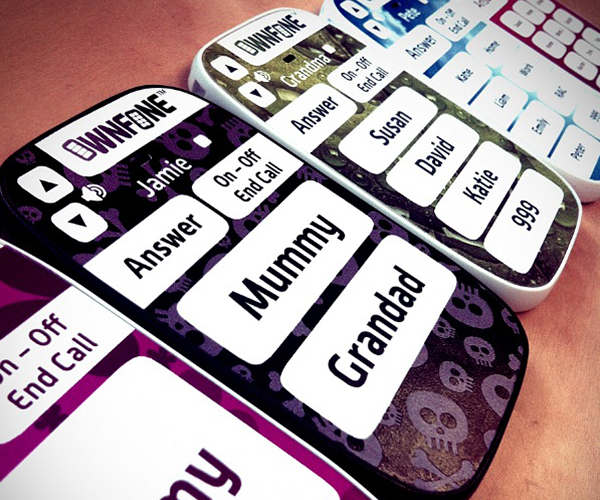 Here’s what they mean by that description: OwnFone is the world’s first made-to-order mini-phone. It’s good for kids, grandparents, and everyone in between who don’t want to deal with the hassle of having to update their apps or mobile software in order to stay in touch with friends and family. The phone comes in a bunch of different colors, weighs just 40 paper clips (grams for all you un-mathematic type), and give owners the option of saving up to 12 contacts (or as few as two). 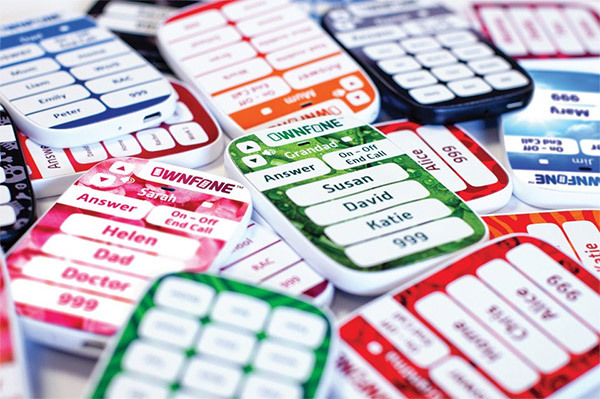 The names of these contacts get displayed on the phone’s screen, providing users the ability to dial with just the push of a button. Also similar to our portable boombox, users can customize their OwnFone, including the keypad, color, and background of the phone, adding images or patterns to make their phone the user’s own. As for lifespan, OwnFone lasts 3-4 days on a single charge. It can also last up to a year in standby mode (good for the aforementioned grandparents). It’s available for $87 here in the States and plans range from 50 minutes to 500 minutes (prices vary).